By Pommie Lutchman, CEO at Ocular Technologies. It can be argued that excellent customer service is the same now as it was many generations ago. And indeed, the principle of fulfilling customers' needs has not changed since the first product or service was sold or bartered. However, what has changed significantly are the expectations of today's customers. 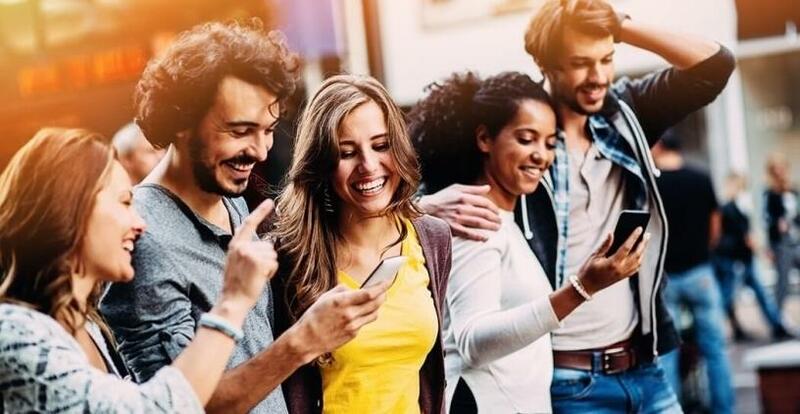 Of course, taken as a whole, today's customers range in age and generation, but the driving power behind innovative customer service is the millennial generation. Together, they now form the bulk of consumers and are an unmistakable force in both moulding new customer-brand behaviour, and pushing technology to evolve at breakneck speed to brilliantly fulfil their needs, says Pommie Lutchman, CEO at Ocular Technologies. They are the selfie, Instagram and Snapchat generation. Point, shoot and post instantly and receive immediate validation or feedback. It's a generation that embraces the idiom, "a picture speaks a thousand words" and, at the same time, those words better be concise as attention spans are shortening too. Short example: a 29-year-old female graduate from the US tours South East Asia and decides on the spur of the moment to visit a brow salon in Bangkok. Visiting the large city for the first time, she's overwhelmed by the many salons she passes, and is looking for the best. Coffee in one hand and smartphone in the other, her search goes something like this: Google, read reviews and view Instagram posts, message virtual assistant, chat with virtual assistant to set up appointment, download Grab app, be notified driver is at the door, driver follows his navigation app, payment is done electronically, brow service completed, customer leaves Google review and recommendation: "What a fantastic experience! Five stars." These stars will sway the next person to Google, and so the salon's reputation as the best in the business grows even stronger. The reality is, there is more than likely a superior salon out there. Yet, it's hidden. Not physically, but more detrimentally, digitally. And as we all know, the virtual world is simply enormous. Everyone wants a byte, but only the ones ready to fully embrace digital transformation will stay ahead of the competition. One way of staying ahead is to focus your efforts on new customer behaviour. There is that saying: "If you can't beat them, join them." It should become the motto of every business. It's as easy as: emulate and mirror your millennial customers, it's the greatest form of flattery. What makes it double in excitement is that as the contact centre, you are this mirror. You are now at the wheel of the company. Steer it succinctly and make it a grand experience for everyone. When the customers figuratively stand in front of your mirror, give them the best version of themselves. Represent both their intent and yours. The first move towards this accomplishment is throwing the old contact centre out and emerging as an 'experience' centre. You are the aspirational Instagram posts, so to say. Be aware, however, you are dealing with savvy digital consumers that can easily see through smoke and mirrors, so you need to make sure that you are authentic, support innovative technologies, can manage complex enquiries, and take responsibility for customer interactions by fully meeting their expectations. In a recent Webinar, Art Schoeller, vice-president and principal analyst at Forrester Research, outlines these five benefits of introducing AI into the contact centre. 1. Better job of matching agents with customers using predictive analytics based on artificial intelligence. 2. An agent assistant, one that sits on the agent desktop, takes information for when the bot tries to self-serve the customer and advises the agent of what's the next best thing. 3. Helping the quality assurance team to plough through tons and tons and hours of calls and texts with customers, being able to better advise and coach agents instead of just spending time listening and learning. 4. Workforce management, tackling that intra-day fire fight that many contact centres get into and being able to predict that there is going to be a spike of traffic, and recruiting agents in real-time. 5. Finally, journey analytics, looking at those patterns of customer interactions, where the hotspots are, and the potential places for improvement. Ocular Technologies is a specialist customer engagement and digital experience solutions provider. We employ a unique set of individuals who are experts in understanding, managing, and ultimately ensuring, an optimal customer experience. With a vision of being regarded as an internationally respected leader in the customer engagement market, Ocular Technologies strives to have our customers appear as heroes in the eyes of their clients. We hold more than 15 years' experience in the customer contact life-cycle space, and create a quantifiable business impact through intelligent interaction management, robotic process automation, ambient computing, natural language processing, and cognitive analysis and design. Drawing from a focused selection of best-of-breed technologies and methodologies, Ocular Technologies is outstandingly positioned to offer a holistic solution including strategy and planning, implementation and delivery, as well as enablement and operations. As a 100% black-owned, Level 1 B-BBEE contributor, Ocular Technologies has the added advantage of offering a Preferential Procurement level of 135%.